Welcome to the Basswood Carpentry blog site! This is where you will find great information, reads and additional resources on… You guessed it: Carpentry. So a little about me: My name is Josh and I just graduated from Arizona University (Go Wildcats!) with a degree in accounting. Very soon after I got into the job market, I realized that while I enjoy the numbers involved in finance, I needed something that would allow me to move around and be a a little more hands on. Although I’d always enjoyed helping my dad with his DIY carpentry projects at home, I never thought about the possibility of making a career out of it. Once that idea hit me, I decided to act on it with little hesitation. And now, here I am; in carpentry school and telling you all about it on this very page. 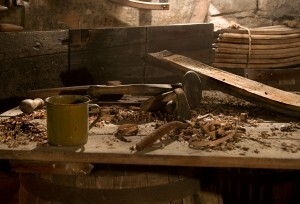 As a carpenter in the making, I try to stay up to date on all the latest trends, topics and techniques (The Triple T’s) in order to be the best possible carpenter once I emerge into the world of wood craft. Until then, I want to share all of my new gained knowledge in order to further expand both my own knowledge base and that of my readers. Feel free to tag along. You can subscribe (to your right) so that you never miss a post, and always feel free to comment and participate in discussions.